A true truck owner knows that a real pickup is more than the noise it makes, the size it has, or the flashy gadgets it sports. While those are certainly fine visually, they don't necessarily speak for the truck's actual capability. So for you who wants a truck for what it's made for, who needs it for the power and versatility it offers, a truck has to deliver on so many requirements, and not just any eye-candy pickup will do. Go with the truck that delivers on all levels-power, capability, technology, safety, and yes, even comes with the comfort and style you deserve. Dodge pickups are all this and more. 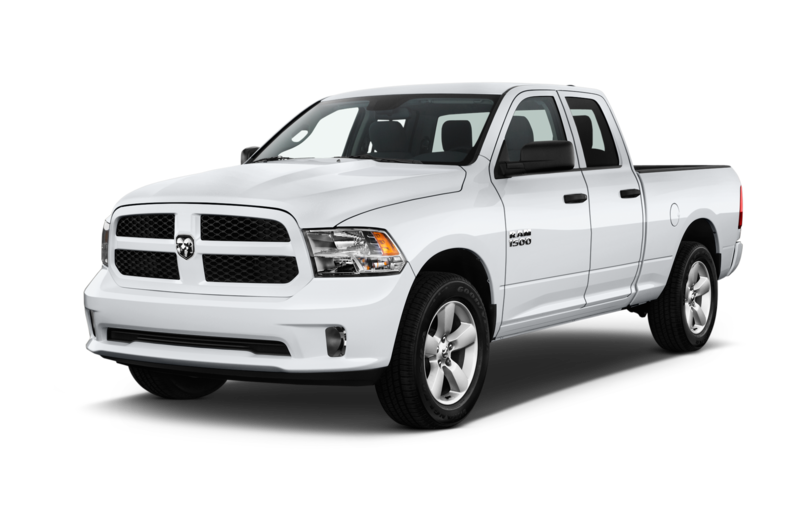 No other truck has it all like the Dodge RAM 1500 - and there is no better selection of Dodge RAM 1500s for sale in the Oakville area than at Milton Chrysler. Drive with well-earned pride with the sleek and unmistakable exterior of a RAM 1500. With signature crosshair grilles, wheels that come in 17-, 20- and 22-inch sizes, finishes that range from chrome-clad to Black Semi-Gloss, and many more customizable options, you've got yourself a real gem of a truck that sports your personal flair. And that's just the outside. On the inside, refine your ride with touches of luxury like Class-Exclusive, handcrafted full-leather seating, 10-way power driver's seat including 2-way lumbar adjust, Automatic Dual-Zone Temperature system, and tons of other available options. Take advantage of the RAM 1500's Best-in-Class cargo versatility with the fold-flat load floor system, rear underseat storage bins, and Class-Exclusive, insulated, waterproof and removable in-floor storage! Book your test drive today and come feel the superior experience of our RAM 1500s for sale first-hand near Oakville at Milton Chrysler! • Uconnect® multimedia centres, with Bluetooth® streaming audio and ultra-convenient hands-free communication• hub with handy USB port and auxiliary input jack for all of your personal devices. • ParkView® Rear Back-Up Camera which makes parking easier than ever! Armed with the 5.7L HEMI® VVT V8 engine, Canada's Best-Selling V8, the RAM 1500 packs the kind of power that took home the gold in the 2017 Canadian Truck King Challenge! The legendary 5.7L HEMI® comes with some serious power-a ground-shattering 395 horsepower, stunning 410 lb-ft of torque, and incredible max towing capacity of 4,826kg (10,640lb), this engine goes hand in hand with the RAM's know-no-bounds attitude. You take your truck out to remote locations, over treacherous terrain and into hazardous areas. No one wants their truck to give up on them halfway through, or worse, leave them stranded. That's why durability and dependability are of the utmost importance to Dodge engineers, and the proof is in the numbers. Looking at the past 28 years of light-duty pickups sold, the RAM 1500 tops the charts at 81% still on the road! No other truck comes close, with Ford and GMC trailing behind at 70%, and Chevy at 68%. Choose the truck that will always get you there and back. 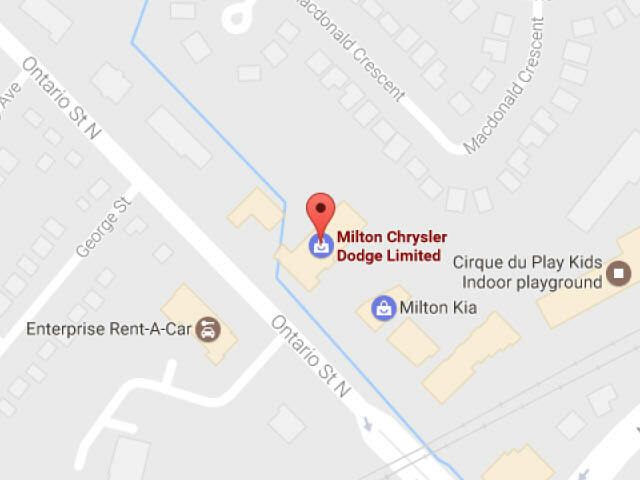 Find the perfect Dodge Ram 1500 for sale near Oakville today at Milton Chrysler! Opt for the Class-Exclusive 3.0L EcoDiesel V6, and enjoy the incredible Best-in-Class fuel economy as efficient as 8.0 L/100km (35 mpg) highway! Although one would expect a tradeoff of power for that kind of efficiency, that is not the case with this revolutionary engine. With 240 horsepower, amazing 420 lb-ft of torque achieved at an amazingly low 2,000 rpm, and up to 4,178kg (9,210lb) towing capacity, you're getting all the muscle you need while keeping your carbon footprint low and making fewer visits to the gas pump.